Welcome to the 15th Annual Thunder Valley National, Round 3 of the 2019 Lucas Oil Pro Motocross Championship, sanctioned by AMA Pro Racing. Promoter David Clabaugh couldn't have known how appropriate his track's name would become. He knew that nearby was an NHRA drag-racing track with the same name (Thunder Valley), but within a few short years of the founding of the motocross track, four-strokes took over motocross completely, leaving a sound of thunder every time the gate dropped at the facility. Clabaugh has been around racing since he was a child. "I've been racing since I was 10 years old," he explains. "When I got to the pro class, I realized that it wasn't going to last forever, and I wanted to stay in the sport somehow, so I decided I wanted to buy a track. Clabaugh has put his blood, sweat, and tears into the facility, and the national here is seen as an example of what a world-class motocross event should look and feel like. I ran local races on the weekends; however, I wanted the facility to grow," Clabaugh says. "I wanted an AMA Pro Motocross Championship event. In 2000, I met MX Sports' Tim Cotter, and I figured the only way I was ever going to get a national was to start going to as many of them as I could and figure out how it worked. I worked on the banner crew for about two years, just getting the inside line on how it all works. I began talking with John Ayers [also of MX Sports] about wanting a national in order to learn all sides of the sport and figure out how to promote. During this time, I had shown interest in being a promoter, and several people had come out to my facility to see if I was equipped to have an AMA Pro Motocross Championship event. I had made lots of upgrades to the facility with buildings, filling in ravines, etc. I heard there was going to be a spot open on the national schedule and was told that Thunder Valley was first on the list." 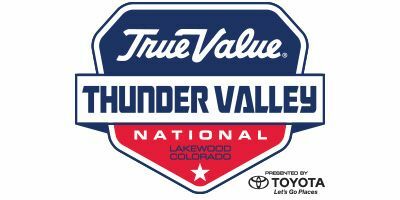 Truth be told, Thunder Valley wasn't just first on the list, it was the best choice, as Clabaugh and his loyal staff have proven every year since his first national, in 2005. 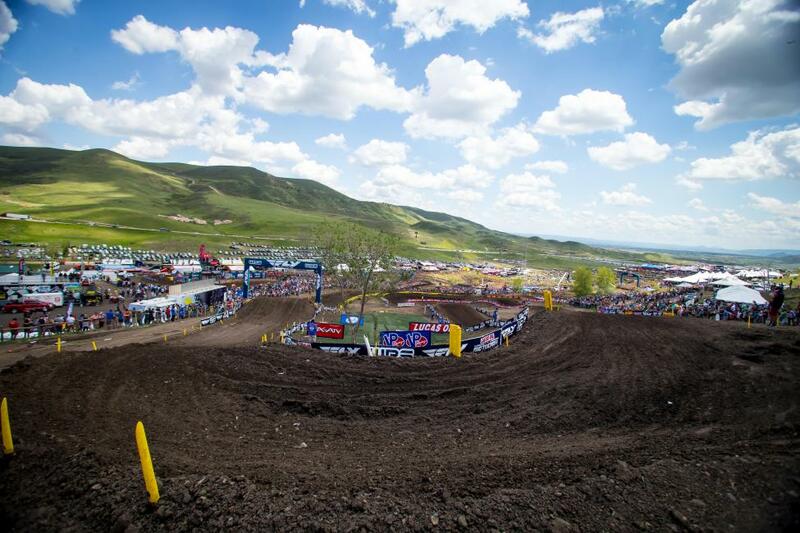 Thunder Valley, just a few miles below downtown Denver, hosted its first AMA Pro Motocross National in July of 2005. In the first few years of racing at the facility, riders and mechanics were met with a combination of altitude and summertime heat that not only made it physically difficult on them but caused the fuel in the motorcycles to literally boil. The solution was a revolutionary one: in 2008, Thunder Valley hosted the first AMA Pro Motocross National ever held at night, under a battery of lights that illuminated the valley. With a live internet and TV audience watching, the race was a smash hit. This year, Thunder Valley's event will be held during the daylight hours. Will Call is located across the road from the Main Spectator Entrance. Rental Car entrance is located on Rooney Road in field across from Paddock.